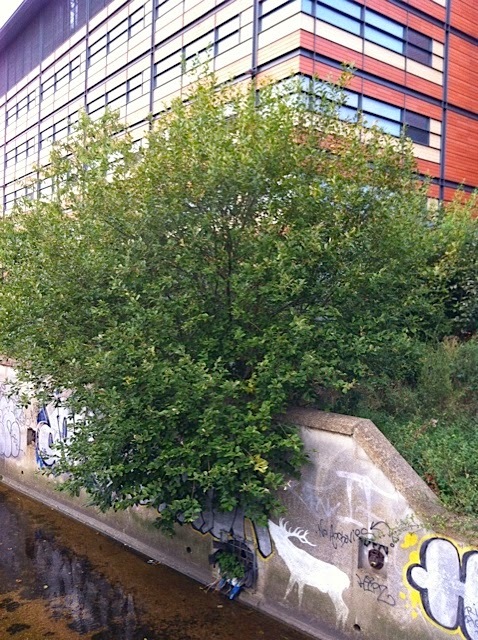 Another spotting of the 'Lewisham Natureman' white stag, location is described as on the River Ravensbourne from Ladywell Fields to central Lewisham 'on the culvert wall at the back of the anodyne two tone terra cotta building next to Riverdale House'. Thanks to Mark D. for sending in photos. Always see this from the train window and it gives me a little smile. 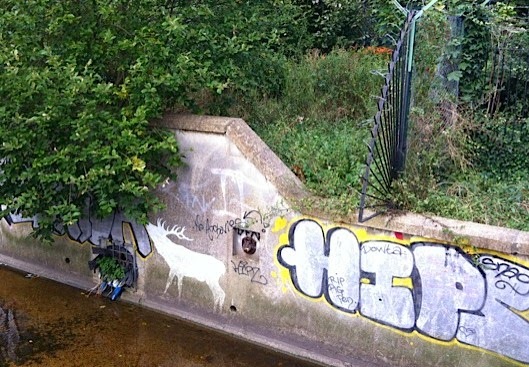 The other graffiti wasn't there at first and the stag had small white birds with it.